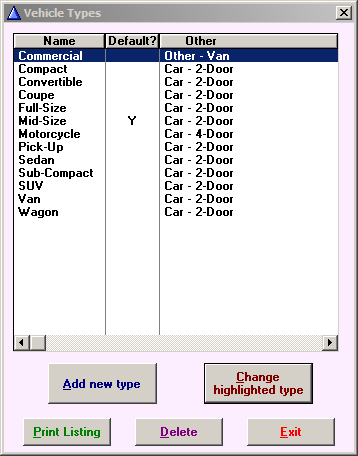 The Vehicle Type is an item that is populated by the VIN decoder, however, if the incorrect type appears, another can be chosen from the drop down options available. 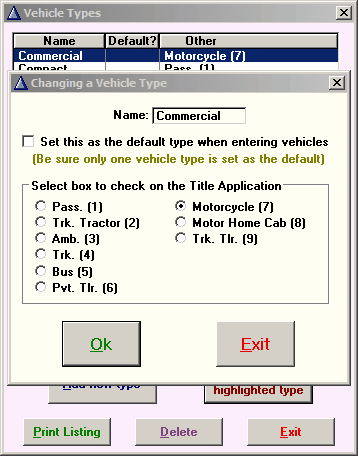 Additional vehicle types not provided can be added to the program or changed by going to Vehicles >> 7 - Vehicle Types in the main menu. 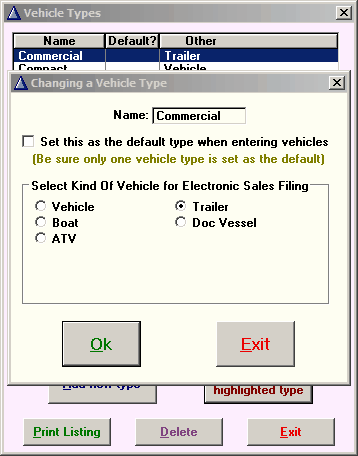 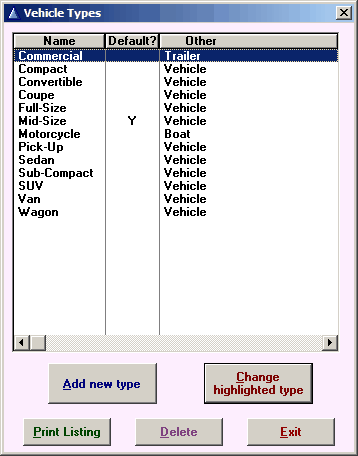 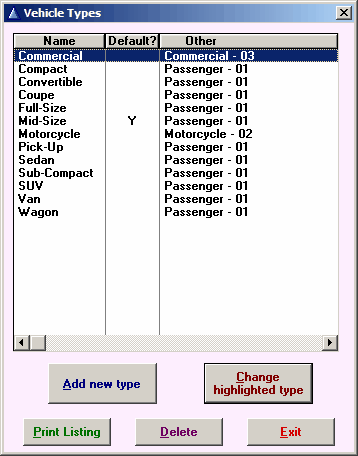 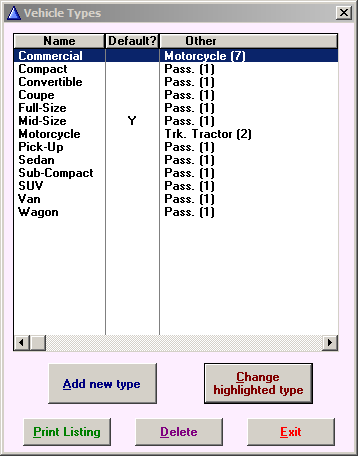 The vehicle type can also be defaulted to a common selection when adding or changing vehicle types in the menu. 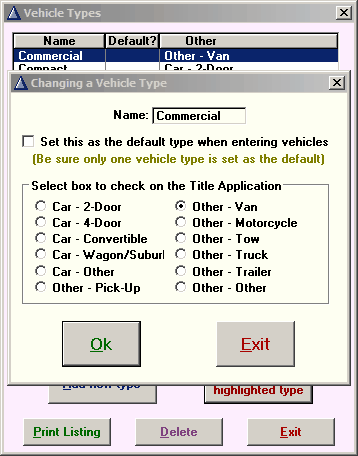 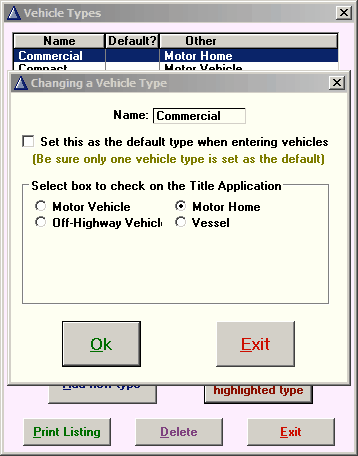 In several states, there are additional specific options to print onto the Title Application that appear in Vehicles >> 7 - Vehicle Types when changing or adding a new vehicle type.